See the Shine – Part 2! 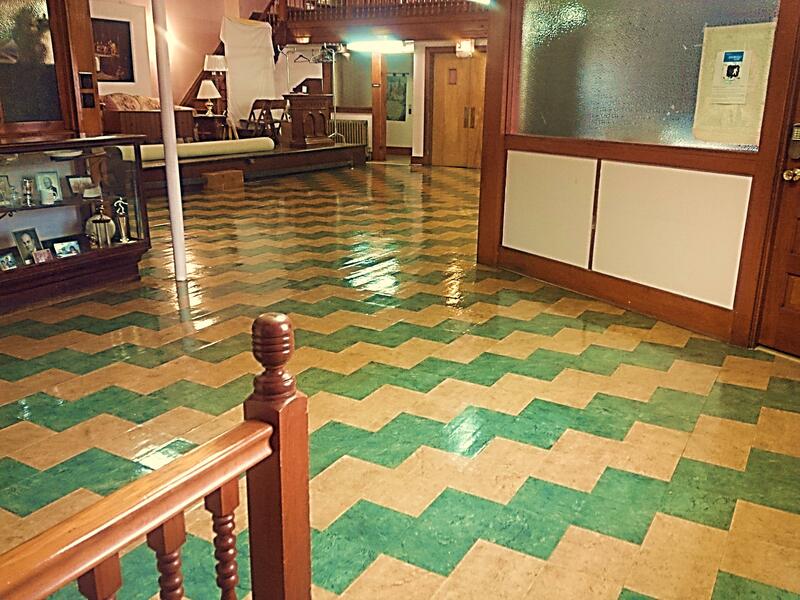 Our upstairs Entryway and Parlor floors have been refinished! Our thanks to Chrissy and Josh for helping lift the Parlor furniture onto the stage and roll up the carpet temporarily so the we could work on the floors. We almost hate to cover up parts of the floor by moving the carpet and furniture back! 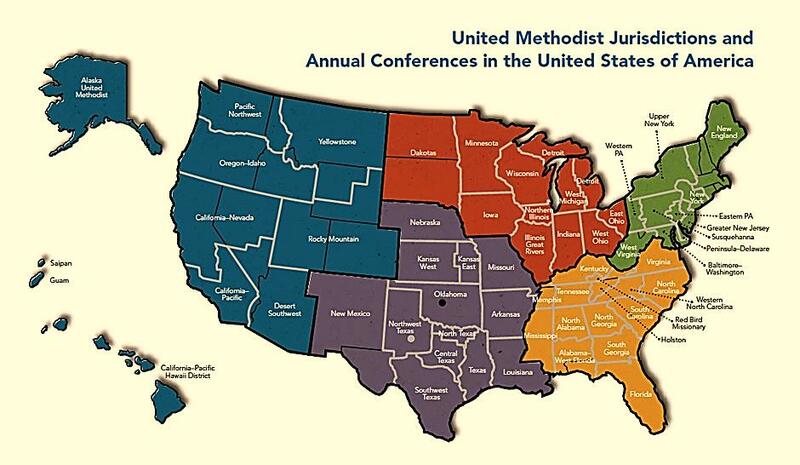 About 1,500 United Methodist clergy and elected lay members gathered at Grove City College June 11-14 for the 2015 Western Pennsylvania Annual Conference session, which was focused on the theme Reaching Higher, both spiritually and as church leaders. Four new provisional members –Jack L. Tickle III, Benjamin Phipps, John D. Mize, and Andrew Bell Jr. were commissioned. At the opening worship Thursday afternoon, conference members brought forward $91,059.53 in offerings from individuals and churches for the Imagine No Malaria campaign to end deaths from malaria in sub-Saharan Africa. Bishop Bickerton leads the denomination’s Imagine No Malaria effort, which has reached 88 percent of its $75 million fundraising goal. In his State of the Church address, Bickerton outlined what he described as hills and valleys Western Pennsylvania United Methodist churches and people have been through over the past few years. Congregational Intervention— both intervention when there is a crisis and intervention to assist a church on the journey toward excellence. 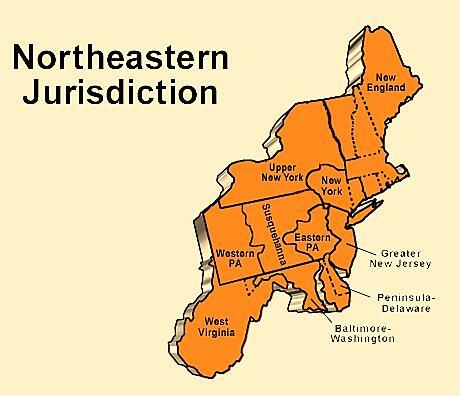 Throughout the conference, members cast ballots to elect clergy and lay delegates for the denomination’s 2016 General Conference and the Northeastern Jurisdictional Conference. Balloting continued until 24 delegates and 12 alternates were selected. Laity elected as General Conference delegates were: Conference Lay Leader Sharon Gregory, Nancy Denardo of Port Vue United Methodist Church; Rich Hoffman of Charter Oak United Methodist Church; Paul Morelli of Lakeside United Methodist Church in DuBois; Diane Miller, president of the Conference United Methodist Women, and Vicki Stahlman, Conference Sessions Team Chair and member of Brookville Evangelical United Methodist Church. Clergy delegates to General Conference 2016 are the Revs. 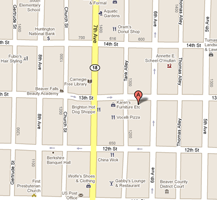 Eric Park, pastor of Butler First United Methodist Church; Johnstown District Supt. Alyce Weaver Dunn; Robert Zilhaver, pastor of Lakeside United Methodist Church in DuBois; Amy Wagner, Conference director of Congregational Development and Revitalization; William B. Meekins Jr., Assistant to the Bishop, and John Seth, pastor of Christ United Methodist Church in Youngwood. Elected as Northeasten Jurisdiction clergy delegates were the Revs. Seth McPherson, associate pastor at Christ United Methodist Church in Bethel Park; Sung Shik Chung, pastor of Otterbein United Methodist Church in Greensburg; Greg Cox, conference director of connectional ministries; Randy Bain, pastor of Oakland United Methodist Church in Johnstown; Stephanie Gottschalk, Conference Missions Coordinator; and John Ciampa, pastor of Harrison City Community United Methodist Church. Alternate NEJ clergy delegates are: Greensburg District Superintendent Pat Nelson; Tom Parkinson, pastor of Faith United Methodist Church in Fox Chapel; Butler District Suptintendent Joel Garrett; Joseph Stains, pastor of Mt. Hope United Methodist Church in South Fork; Janet Lord, Conference Coordinator of Ministerial Services; Thomas Strandburg, pastor of Mt. 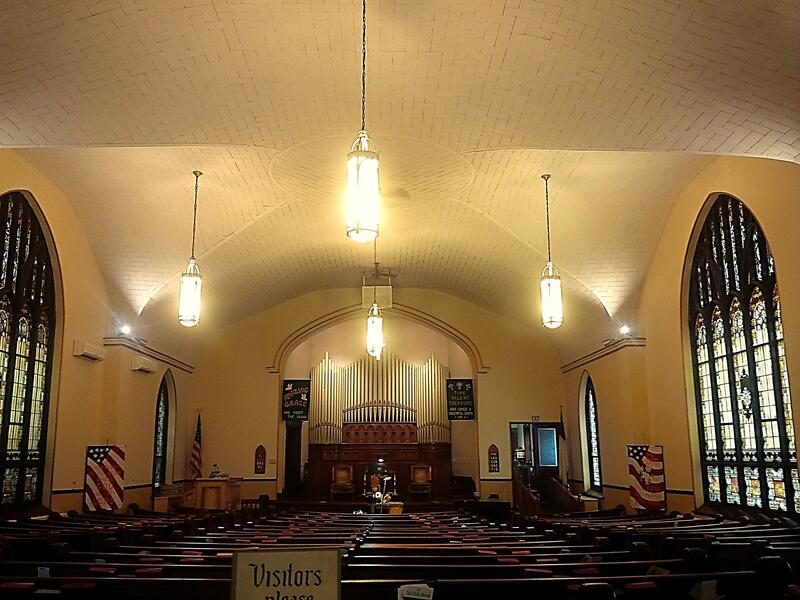 Lebanon United Methodist Church. Lay delegates to the NEJ include Erie-Meadville Lay Leader Don Blystone; Tina Whitehead, who serves as a volunteer missionary in Israel/Palestine; Faith Geer of St. Paul’s United Methodist Church in Allison Park; Peggy Ward of Greenstone United Methodist Church in Pittsburgh; Kayla Schwanke of Russell United Methodist Church in Kane District, and Tracy Merrick of First United Methodist Church in Pittsburgh. NEJ alternate lay delegates are: Joe Emigh of Cochranton United Methodist Church; Donna Burkhart of First United Methodist Church in Erie, Eric Duda of Lowville United Methodist Church, Conference Treasurer Larry Bridge, Richard Thomas of Port Vue United Methodist Church, and Sydney Widdersheim of Christ Community United Methodist Church in Butler. In legislative action, conference members approved a shared ministry budget of $9.7 million; increased the basic cash compensation for clergy by 3 percent to $40,334 for elders serving full time; approved three general evangelists—Christine Rogan, John Zimmerman and Luella Krieger; and set policies and practices for Conference mission partnerships. In addition, after debate, the conference members approved forming a task force to research companies that may be contributing to the occupation of Palestine and whether divestment of these companies would be advisable. The task force would formulate recommendations to the 2016 annual conference regarding possible divestment from Conference portfolios. Conference members also accepted a petition of Roulette: Riverside and Fishing Creek United Methodist Churchess, in the Kane District, just east of Port Allegany, to become part of the Western PA Conference. Pastor Randy Headley of the Port Allegany Charge has been providing pastoral care and oversight of the two churches since July 2014 and both congregations voted by a two-thirds majority to join WPAUMC. Also approved was a petition to the General Conference to change the Book of Disciple to set term limits for bishops. The petition, approved on the consent calendar, would elminate life terms for bishops elected in U.S. Jurisdictions and replace it with an initial eight year terms with the possibility of re-election quadrennially. It would not apply to incumbent bishops. Petitions growing out of recommendations made in Judicial Council rulings (Decision 1230) involving complaints and administrative actions brought against East Africa Bishop Daniel Wandabula were approved and will be sent to the General Conference. One notes that the appeal process in administrative matters is not clearly delineated and proposes several changes to the Book of Discipline to provide clarity by creating an administrative review process. During the annual conference, members volunteered to pack meals for Stop Hunger Now and completed 50,000. Many also filled a large truck with used shoes to be reclaimed or recycled by Funds2org, which, in turn, gives money to the Erie UM Alliance for ministries to the homeless and to All God’s Children ministry to those with disabilities. Members also brought UMCOR kits and material, which were collected by volunteers from the Eastbrook Mission Barn, an UMCOR Depot. Amy Wagner, director of Congregational Development and Revitalization, gave a history of new church starts that occurred during the 1700s and 1800s. She explained that never in our history has there been more than four years without starting a new church. 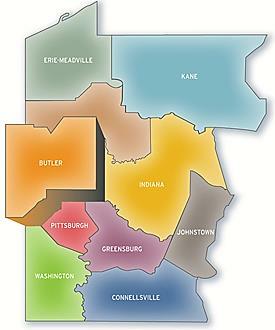 Currently, there are several new worshipping communities supported in part by our annual conference: The Heights Faith Community, Allegheny River Valley, Roots of Faith, Faith Acts, Faith on 68 (formerly Zion UMC) (Rochester), Connect Church (Blairsville), Charter Oak Crossroads Campus, Point Marion Fijian Language Community, and Laketon Heights. Worship attendance stands at 54,085 down from 56,053 the previous year. There were 1922 new members entering by profession of faith, down from 2201 the previous year. There were 32,296 youth, young adults and adults in Christian formation groups, up from 25,466 the previous year. Sunday School attendance was 15,960. The number of people engaged in mission was 11,288, up from 7532 the previous year, with 1488 participating in UM Volunteers in Mission work. That total is up from 1464 the previous year. Mission engagement 11,288 up from 7532. See archived videos, photos, the Daily Proceedings, a narrative budget, the text of Bishop Bickerton’s messages, and more at wpaumc.org/ACLive. Brighter Light – for Less! Our Sanctuary floodlights have been replaced by state-of-the-art, high output LED floodlights, providing us with double the lumens of light for less than one-third the cost of operating our old floodlights! Our thanks to our Trustees who are continuously exercising good stewardship over our Church building and working to make our Church more energy efficient! It would not be a long visit. Dad was in the hospital. The cancer had come back, and the outlook was bleak. “I know you’re busy Richard, the holidays and all,” Mom had said, “But I think Dad would like to see you.” She didn’t have to finish the sentence. She never did anyway. I knew. I was on the next plane. We talked nonstop. It was unusual for us. In the past we could spend hours side by side, and just a few words would suffice. In the season that we had grown apart we didn’t talk at all. Now the shared memories came spilling out as we put the finishing touches on our relationship. There was a procession of visitors — neighbors, friends, his pastor, even one of my old girl friends. Every one had a story, and it surprised me how much laughter and how little sadness was in the room. I was stunned. 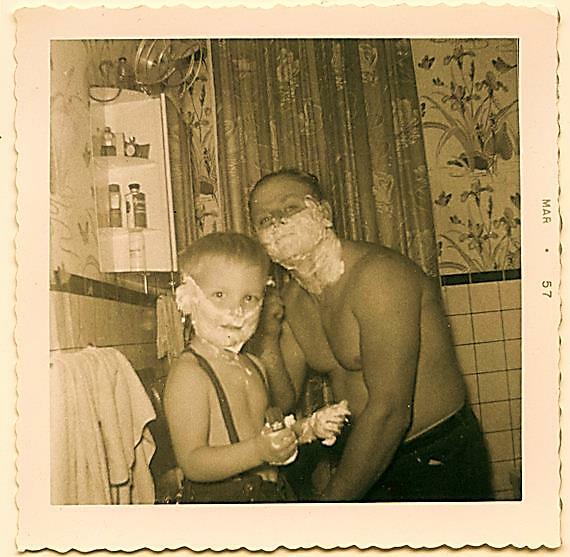 As a child I loved to watch my daddy shave. We’d stand in the bathroom in our underwear. He’d lather up and then soap my face just like his. And while he shaved, I pretended. It was a silly, sacred ritual — a bonding that I had all but forgotten. Now he was asking me for a shave. I found his old razor and the tube of shaving creme in the kit he had brought with him — they were so familiar even after all these years. I filled a bowl with hot water and found a face cloth. With the bed raised, the pillow fluffed and a towel spread under his chin to keep him dry, I began the ritual. First the face cloth, warmed with the hot water, wrung out and held gently to his face to soften the whiskers. Then a little bit of water on the face to receive the cream. When I opened the tube, it was the same aroma I remembered as a child. Dad’s eyes were closed but he was clearly enjoying this. I spread the creme and prepared the razor. I was so afraid that I would cut him. He was so trusting. Dip the razor in the water, shave a few strokes. Dip, shave. Dip, shave. It didn’t take that long. When we finished shaving, I got some clean hot water and washed his face. He put his hand up and felt his face and smiled. I handed him the mirror and he took a long, satisfied look. “Son, that’s the best shave ever. Thanks! Soon it was time to go. We hugged, gently. “I love you, Dad.” “I love you too, Son.” We had only lately learned to say that. It felt good. What felt better was the trust that had finally established itself between us — a trust that had made it possible for a son to give his father the best shave ever. It is a holy remembrance, sacramental even. Love is like that — born in due season of common things made holy by the amazing grace and surprising Presence of God. The Rev. Richard Garland is a retired United Methodist elder who currently lives in Rhode Island. You may read more of the Rev. Garland’s essays on his web page “From Where I Sit.” He is also a composer, and a number of his works are on the Discipleship Ministries worship website. 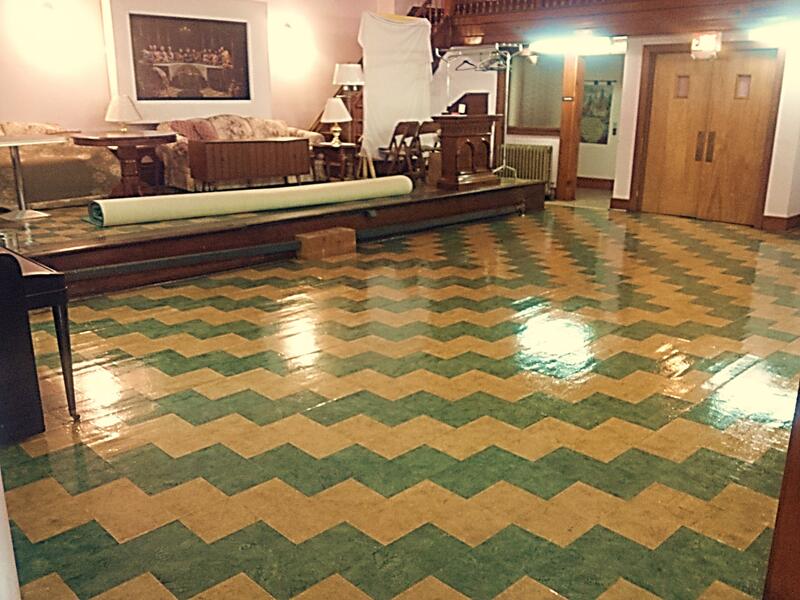 Central’s Fellowship Hall floor has been refinished! 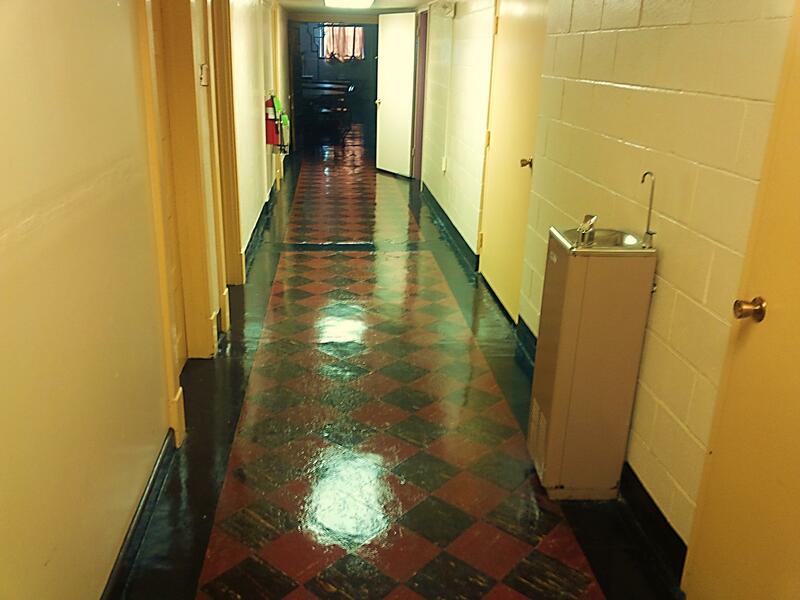 Our downstairs Fellowship Hall and Basement Hallway floors have been refinished! 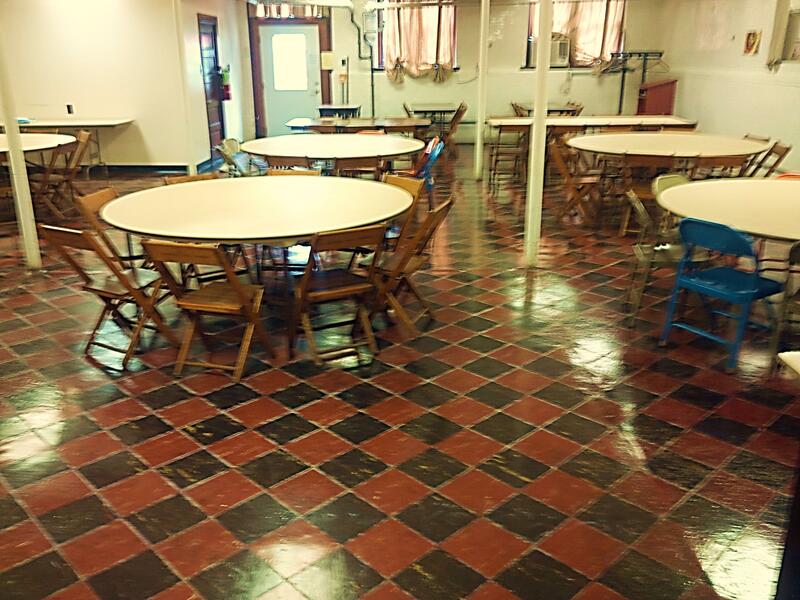 Our thanks to Barb, and Dave & Shirley for helping clear out the tables and chairs at the beginning of the multi-day process, and to Harriet & Chrissy for helping repopulate the Fellowship Hall once the refinishing was completed. 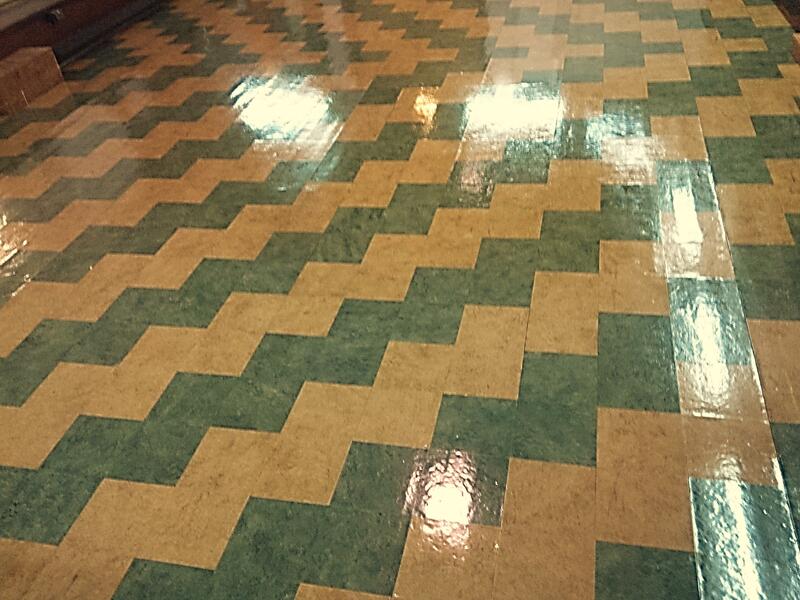 Central’s downstairs Hallway floor is so shiny! Be sure to wear your sunglasses the next time you go to the Fellowship Hall to avoid permanent damage to your retinas! 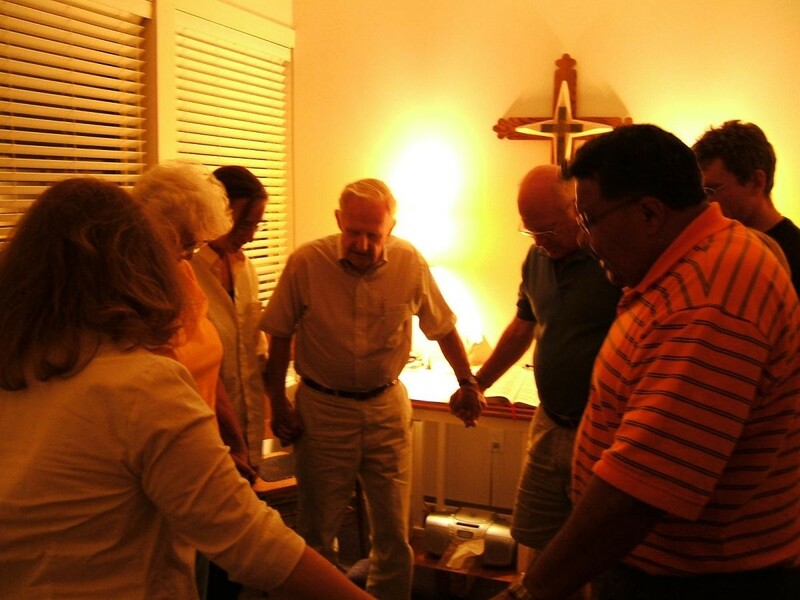 It’s that time of year again for many churches and pastors – time to say goodbye and hello. It’s a bittersweet time of year, really. On the one hand, change is exciting. New pastors mean new ideas. New churches mean new people to develop relationships and share ministry with. On the other hand, change is really hard. Some pastors are leaving great churches filled with many close friends – friends who have shared life’s ups and downs. Some churches are losing pastors who have meant a great deal to them – pastors who have shared life’s ups and downs in a variety of ways. Central Church will not experience a change in pastors until July 1, 2016 when Pastor Wayne retires. Although pastors are frequently moved between local Churches by the Conferences in the United Methodist Church, the transitions are not without a tinge of pain and sadness. Knowing in advance that we must say goodbye to our pastor in just 12 months makes us more mindful than in most years to what many congregations – and their pastors – are experiencing with pastoral transitions this year, and we share this prayer written by Bgosden for all pastors and churches who are experiencing transition. 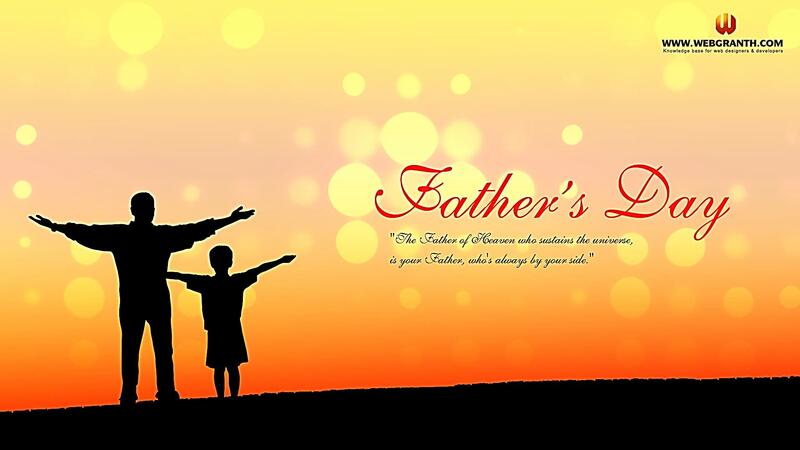 We give you thanks for you constant presence. Through seasons of constancy and even change, you are with us – calling us into deeper waters, calling us together in your spirit of unity, calling us out of ourselves into the world to serve others. Grant that those pastors bring called into new waters might hold fast to unending love and mercy as a buoy – a love that promised to hold onto us even as we go where your Spirit leads us. May the Churches that receive them be communities of mercy and grace. May the Churches experiencing loss and change hold fast to the promise that your mission is bigger than any single pastor, local Church, or annual conference. Grant that such a promise would bring both comfort and discomfort – comfort in a season of change and discomfort as it drives us all to love you and each other more. Strengthen us to be your Church in all times and seasons of life – a place where all are truly welcomed and embraced in your love (even new pastors and Church members); a place where we find ways you are active among us and calling us to join in your saving work (even in communities that weren’t our top choice to move to); a place where the story of your love and grace and mercy are embodied (even if it comes in shapes and sizes and languages that are new to us). 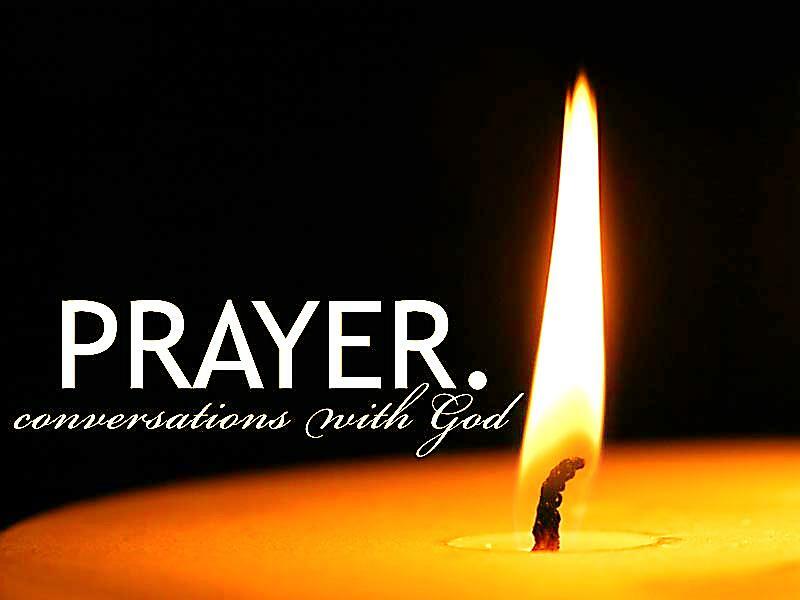 We offer our prayers in the name of the Triune God, Father, Son, and Holy Spirit. Amen. The Charlie Charlie game has its origins in Spanish culture. Christianity Today reports today on a disturbing game currently circulating. Players recite these words sitting around table with two pencils, one carefully balanced on top of the other. Underneath the pencils is a sheet of white paper marked with “yes” and “no” in cross-shaped grid. After the invocation, if the top pencil mysteriously swings to ‘yes,’ the players start asking Charlie questions just as is done with the Ouija board. In April and May, American teens embraced the game and spread it quickly through social media and online video, receiving millions of views on YouTube. It has also gone viral through the hashtag #CharlieCharlieChallenge, receiving more than 1.6 million tweets in recent weeks. This prompted religious leaders from the Vatican, the Bahamas to the Virginia Beach studios of 700 Club televangelist Pat Robertson to condemn the game as a “demonic” summoning of spirits. Skeptics of the #CharlieCharlieChallenge are doubtful of demonic activity. They say an internet hoax, a clever marketing scheme, and gravity are more likely explanations. Some news media report that the game is a marketing campaign for The Gallows, a “found footage” genre horror film due for release in July that is centered around the accidental death a boy named Charlie. It seems fairly evident that the connection between the social-media-driven “Charlie Charlie challenge” and the upcoming film The Gallows emerged well after the former had come and gone from Internet “trending” lists. Others said gravity explained the pencil’s movement. “What’s actually moving the pencils? Gravity, and the awkward positioning of some pencils. They just wouldn’t sit still even if you wanted them to,” according to a report in The Independent. A Washington Post columnist wrote that a Dominican Republic television news report about a “Satanic game” overtaking local schools in April likely triggered the social media virus, which then easily crossed over from Spanish into English. A traditional Spanish “school-yard game” Lapicera, called the poor man’s Ouija board, is its likely origin. In Waynesboro, Pennsylvania, schools, many primary school children became so frightened over the game that teachers forbid students to play it or even discuss it. One prominent Baptist pastor issued a warning about the game on Twitter. “Christians should run — not walk away from any attempt to contact or harness demonic powers through @CharlieCharlie,” warned Robert Jeffress, pastor of First Baptist Church in Dallas.